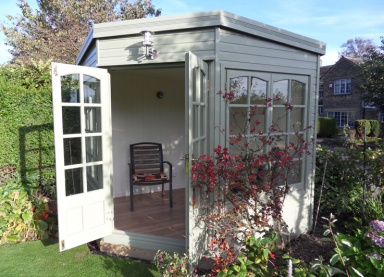 The Harwood is an attractive little room, ideal to fit in a sunny area of your garden, made from Western Red Cedar which is renowned for its natural beauty and warmth. 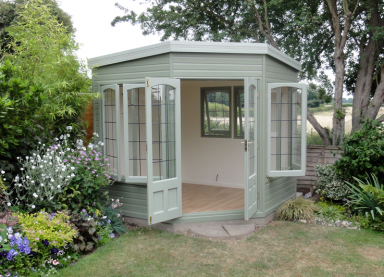 While having all the practical use of a Cottage Garden Room, it will also finish off that corner of the garden perfectly, providing a fantastic focal point. 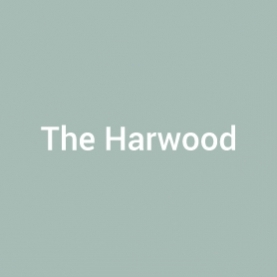 Available in four different sizes, the Harwood has Canadian Western Red cedar cladding, a tongue & groove timber roof and floor, clear single glazing and MDF internal lining as standard. 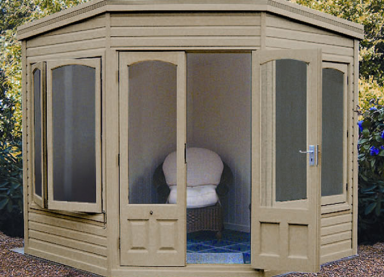 Brass window and door furniture are fitted as standard. 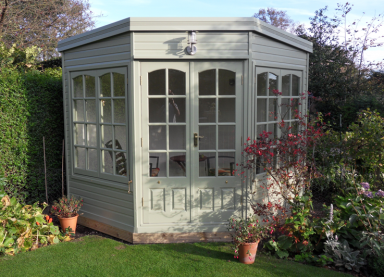 A comprehensive paint system to protect and decorate is available in a number of colours. 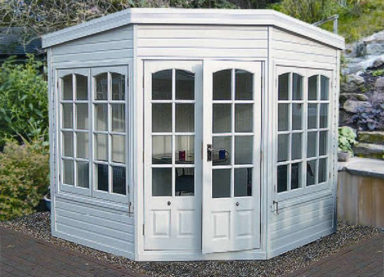 Each model has a set of double locking doors with two opening windows on each side – additional windows can be added subject to size and positioning. A maintenance-free EPDM rubber membrane covers the roof as standard. Add Ufoil to the roof, walls and floor to provide extra insulation and a damp course membrane. Provide extra insulation and reduce heat loss – available in plain and upgraded Georgian & leaded versions. 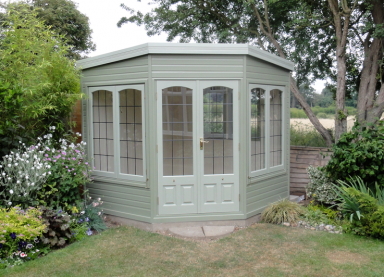 *Please note, single glazed windows have a curved top – double glazed have a straight top. Upgrade to Georgian-style or leaded windows. Upgrade ironmongery to a chrome finish. Available in a range of styles, fitted on top of the floorboards.